Honestly, it’s the cover that makes this new edition worthwhile, we think. Because it’s wonderfully rustic and it fits in with their world, with that universe. It is more than a case for your favorite sci-fi western. 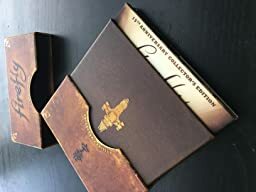 It’s a display piece which will fit in perfectly next to your Firefly ship replica, Jayne’s cunning hat, and your inflatable reaver axe… for example. But the insides are great, too. 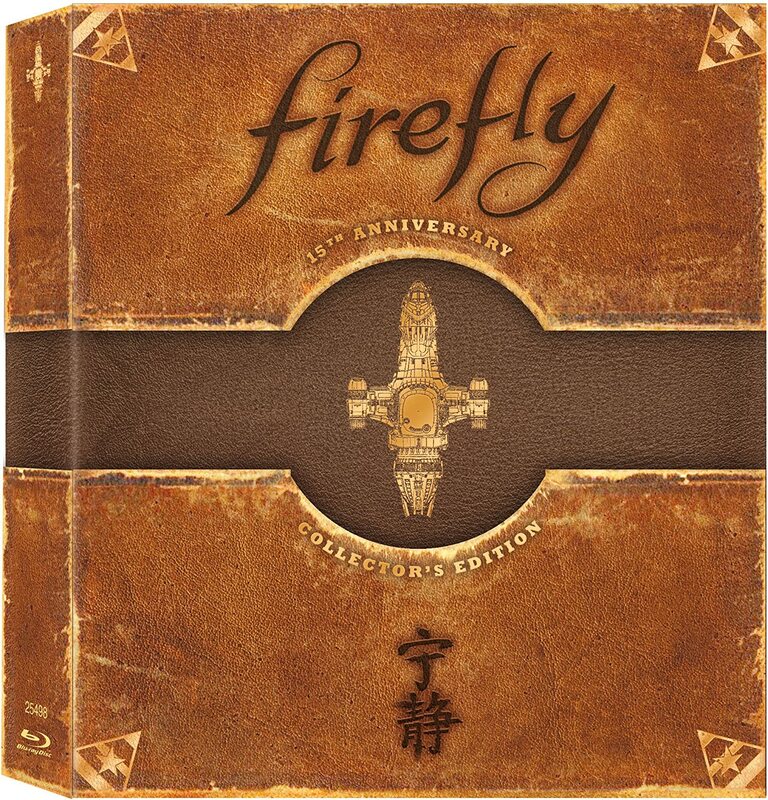 After all, IT IS FIREFLY. Plus it features a map of the United Alliance of Planets and in-character head shots meet quote cards of all nine main (human) characters. 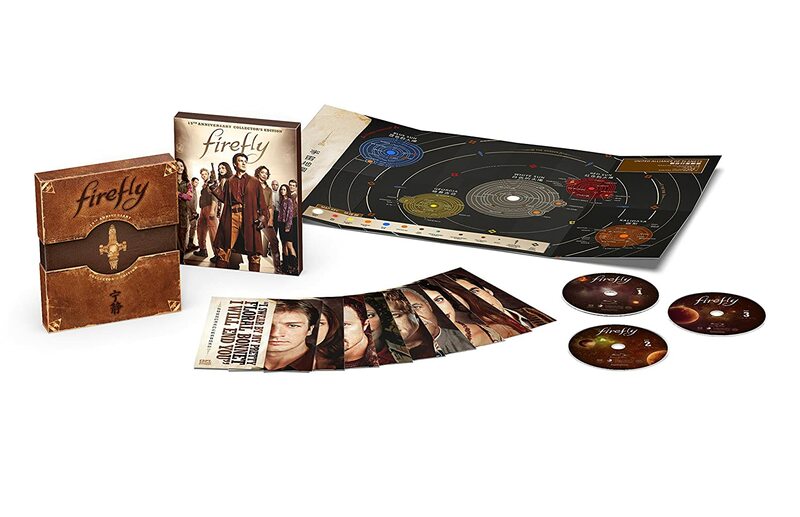 Just hit this link to jump to buy your very own Firefly 15th Anniversary Collector’s Edition! 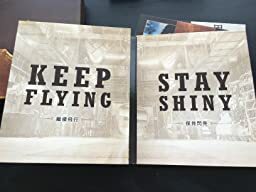 Two more things, Browncoats: KEEP FLYING and STAY SHINY!